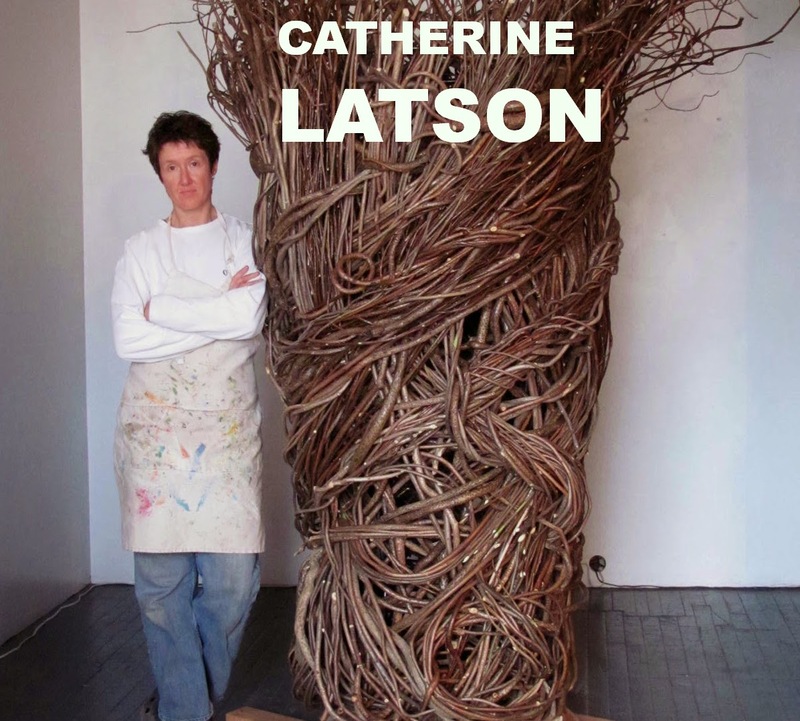 Natural materials take central stage in Artist Catherine Latson's work. 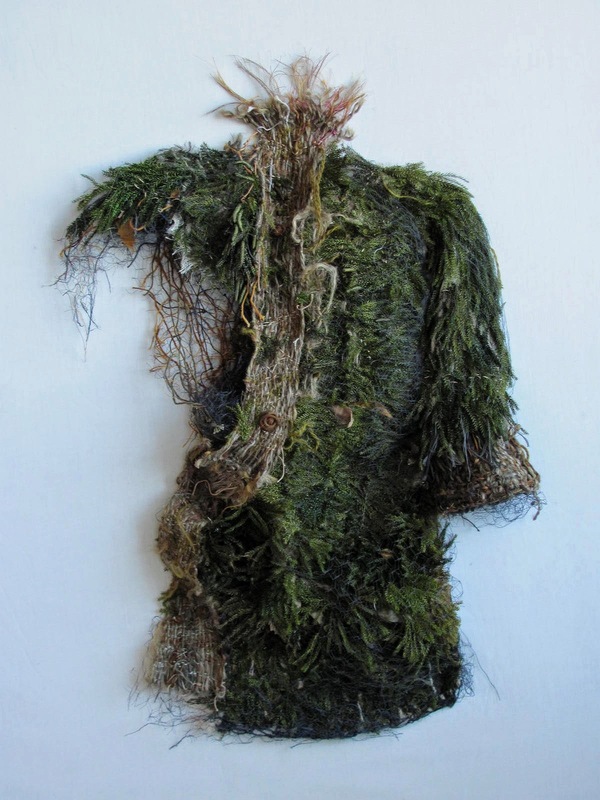 She takes cues by nature's intrinsic properties and allows her organic materials to inform her work. 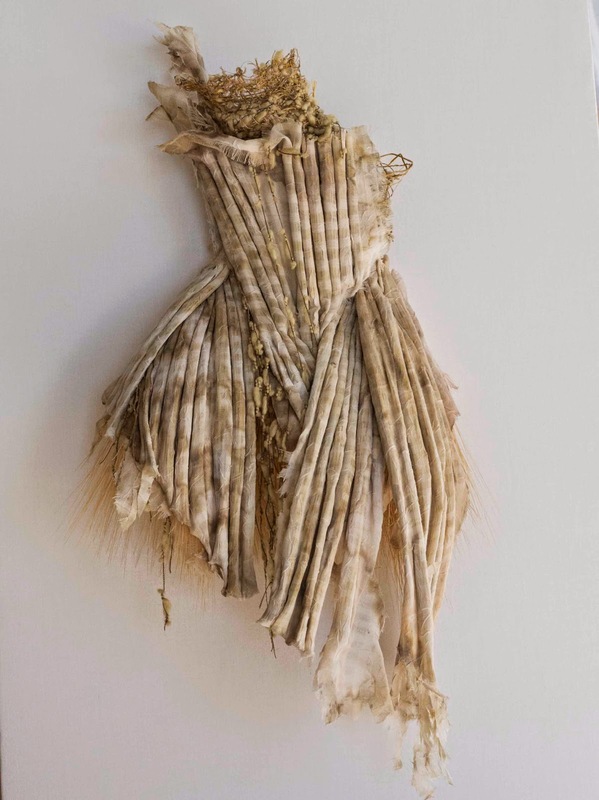 What really caught my eye was the natural structure, patterns, and textures of Catherine's garment series at the 2014 Architectural Digest show.... In amazement I had to step closer to understand what I was looking at. 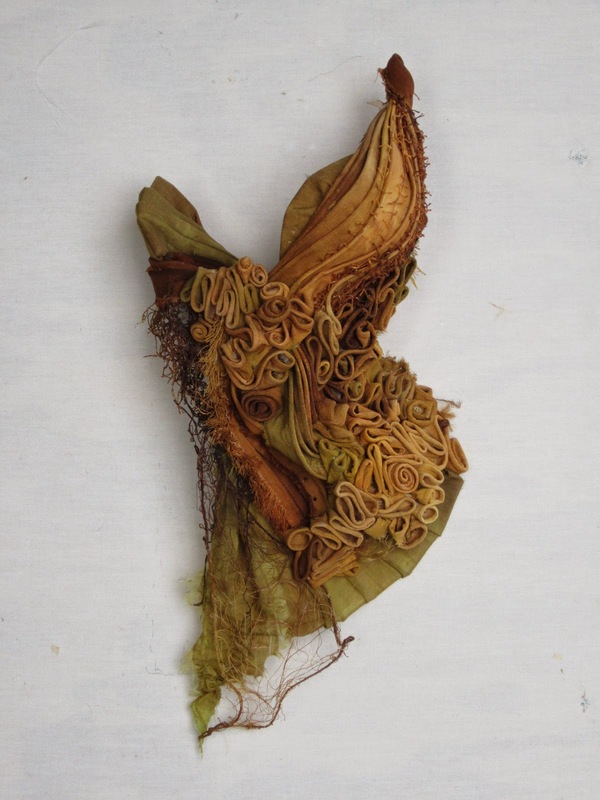 In her garment series, she explores the language of clothing and each piece explores different personalities - reaching corrosion, imperfection, and decomposition. Catherine Latson adds, "these personalities are the making of good stories. 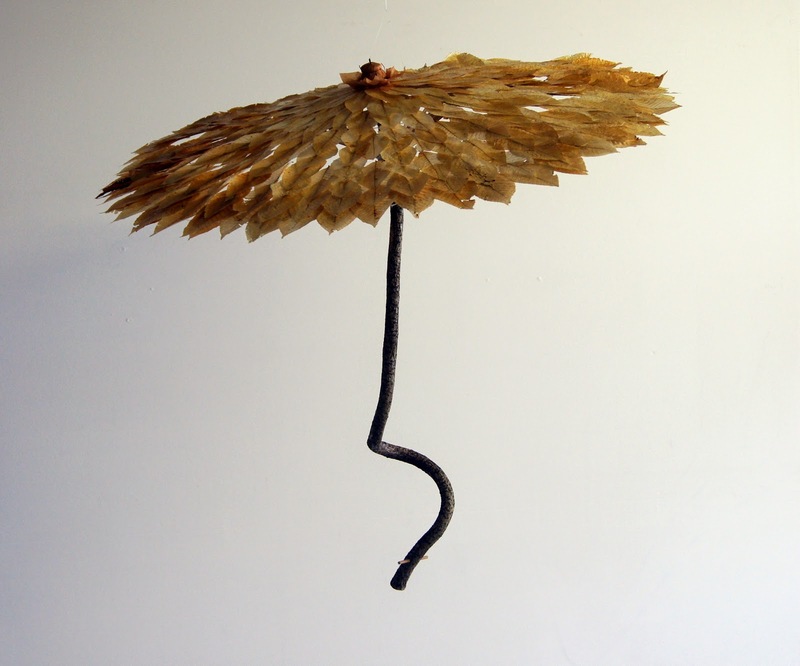 Ultimately, my work is designed to complement any space that welcomes whimsical use of natural materials." I donʼt get caught up in concept. My work doesnʼt preach. 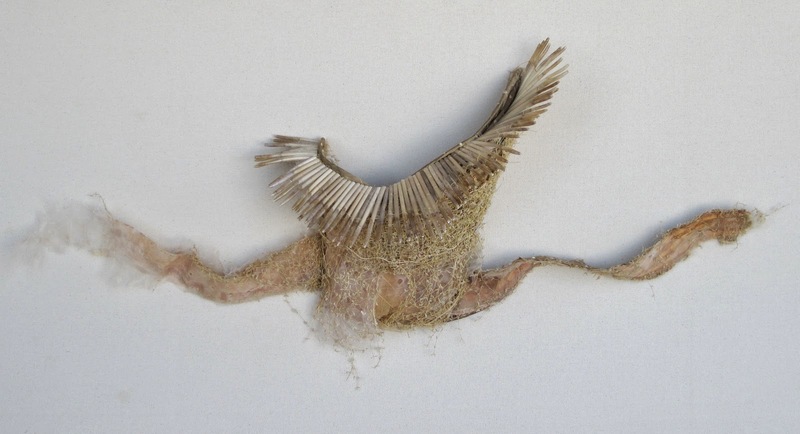 I have a penchant for the whimsical and hope my work offers something a little different. I let my materials take the creative lead. I am drawn to organic “stuff”, to natural textures and structures. I spend much of my time gathering, dismantling, and concocting new ways to assemble the crazy things I find. I plan very little in advance. Materials are pushed and pulled until something unfolds and I run with it. Balance. Not taking oneself too seriously.Prying myself from producing work to do the business of an artist (PR, etc.) more often. I started taking notice of framed antique clothing, everything from christening dresses and wedding veils to military uniforms and undergarments. What a strange trend. While I respected the sentimentality of these keepsakes, there was something haunted about them. There was no narrative, no story, no “who”. They were shells of human stories, little souls frozen in time, stained and frayed. Thatʼs when I decided to weave stories. Avoid fragile. 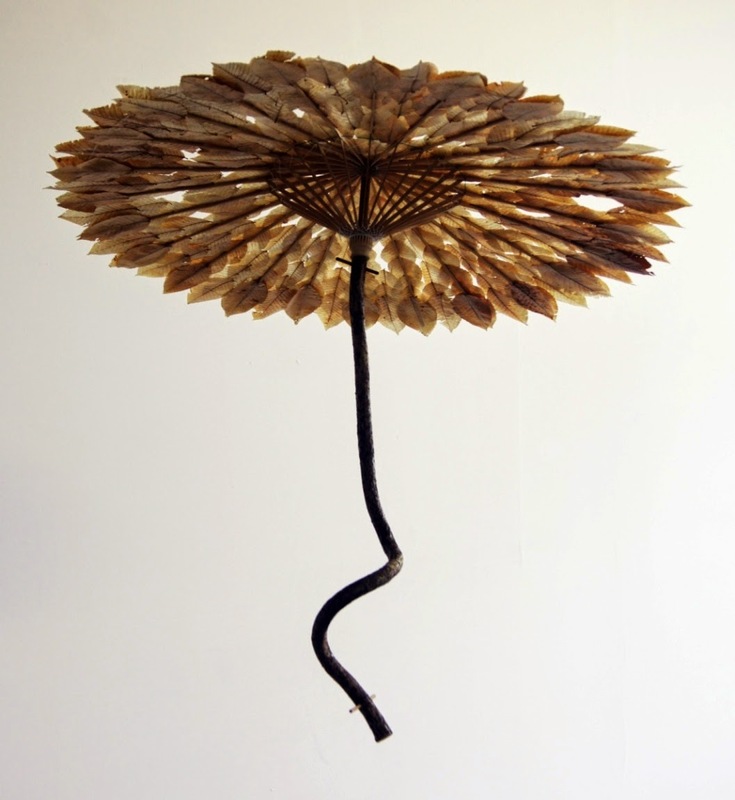 Some of the most beautiful organic materials are also the most delicate. While the finished product looks great, they donʼt tolerate a lot of moving around. Mother nature wins every time. I used a pile of dry (or so I thought) seed pods in one piece. 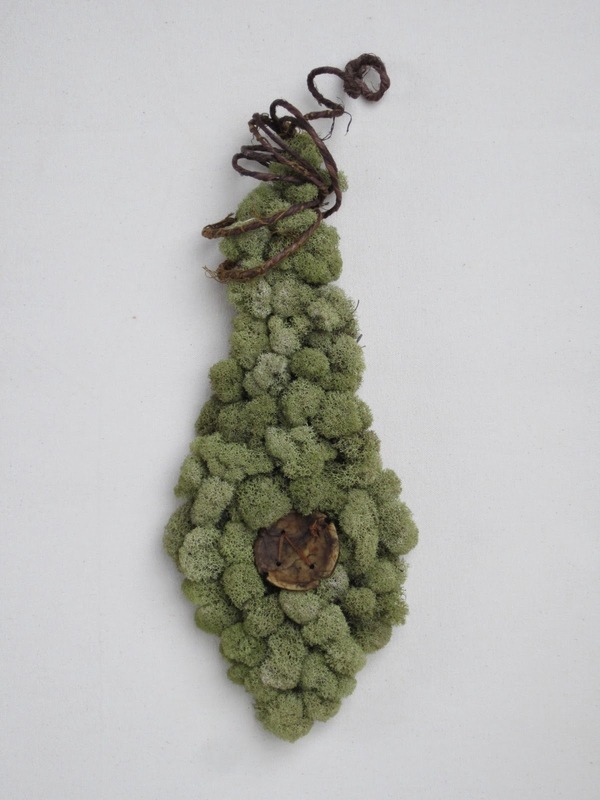 Midway through making the piece, the pods opened, releasing fuzzy, milkweed-like fluff. It was actually pretty cool, but imagine if it happened after the piece was purchased. Sell to buyers with a sense of humor. While the fashion industry is not a place I look to for inspiration, Alexander McQueen was a brilliant mind. He made the grotesque beautiful and broke all the rules with theatrics. He loved the mechanics of nature. He didnʼt create costumes, he created creatures. His exhibit, Savage Beauty, at the Met was breathtaking. 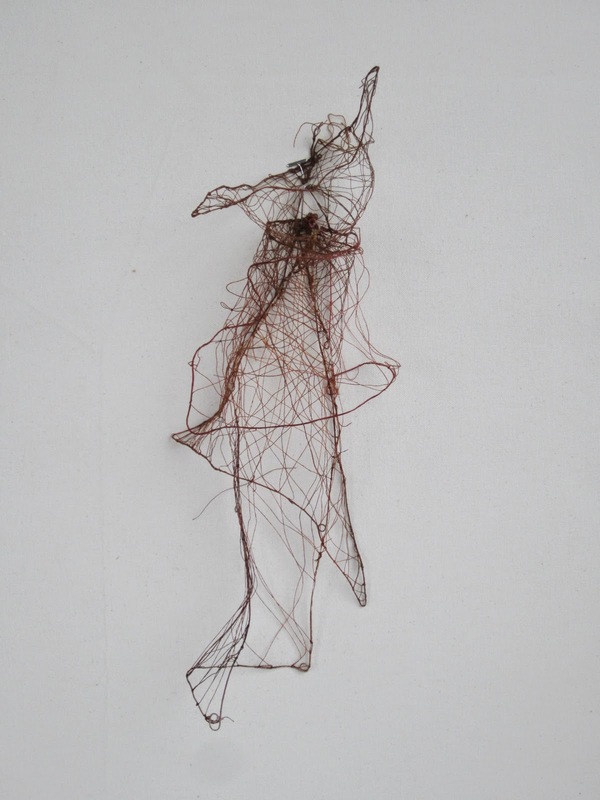 Each piece had a haunting story. I was transfixed. years there and it hasnʼt changed an ounce. It is a rustic work of art. It is a gem. Ask yourself if you want to be working for someone who has you under the gun. Seek quiet and simplify. It is such a noisy world. Everyone is talking. We need to turn off the machines and listen.